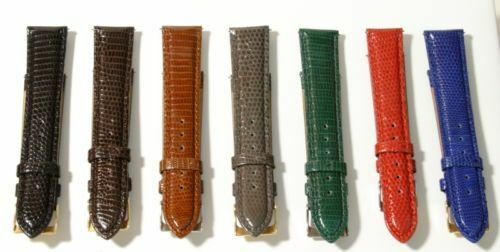 Most Seiko 7Axx's came on bracelets, but there were a few models which also came fitted as standard, or with optional leather straps. 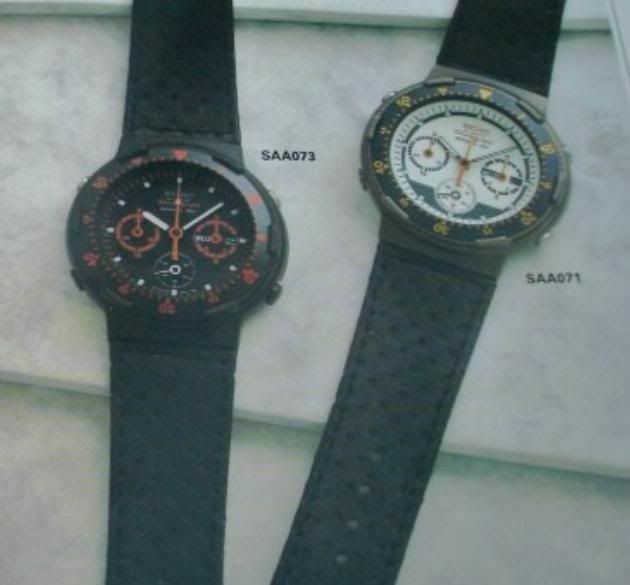 Many of the Yema N8's (also the Jaz and Kamtaz 7A38's made by C.G.H.) 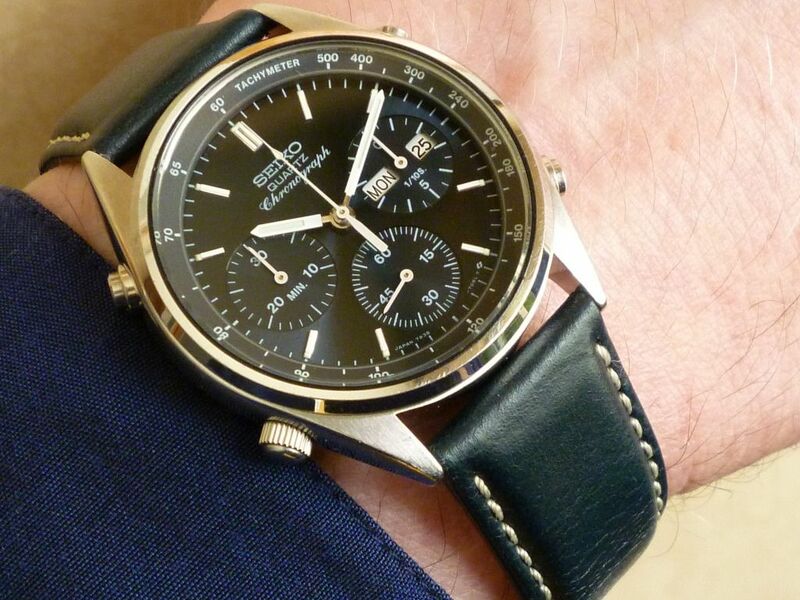 and a few of the Orient J39's also came on leather straps. 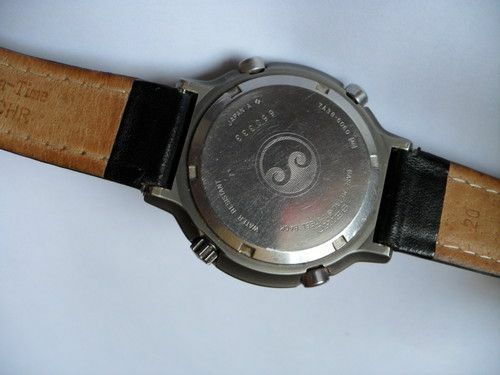 So, if the watch's original leather strap is worn out, or is often the case, has been replaced by something inappropriate (read cheap and nasty), it allows the opportunity to experiment. 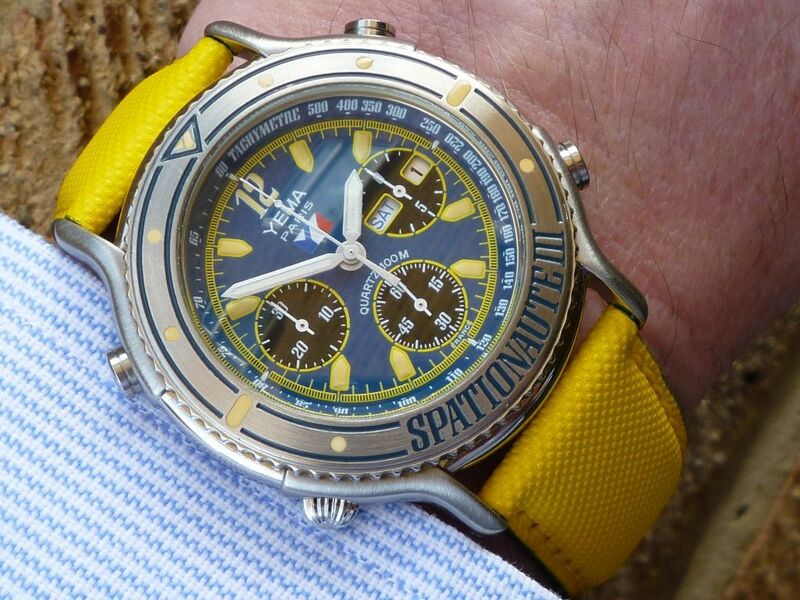 I enjoy the challenge of trying to match straps to dial face colours, and such-like. The right choice of an aesthetically pleasing / correct-looking leather strap can make or break a watch. I've had a few successes. Some of them have been down-right outlandish gambles, but have still worked amazingly well .... or at least to my eyes. Then, sometimes, it all goes Pete Tong. 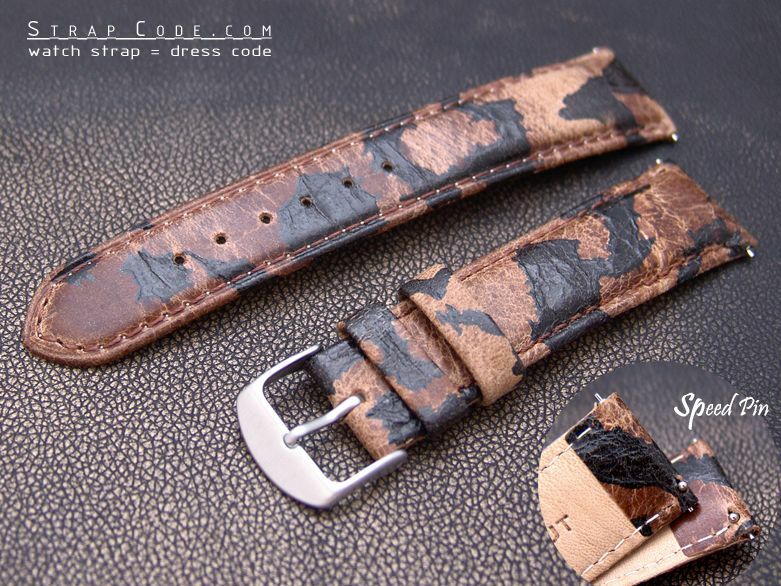 I will admit to having purchased both these 'Frog' grained straps, with the best of intentions. That first one has never even been tried on anything yet. It is even more revolting in the flesh ! 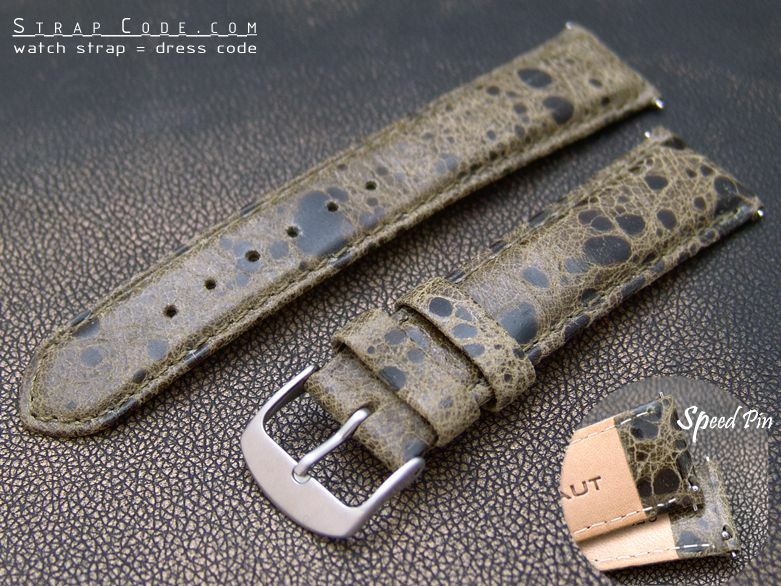 As I wrote in on 7th July, 2013: What's more, I think I'm gradually coming around to these Faux Frog grain straps. Then you get the really oddball ones, which will really have you scratching your head. 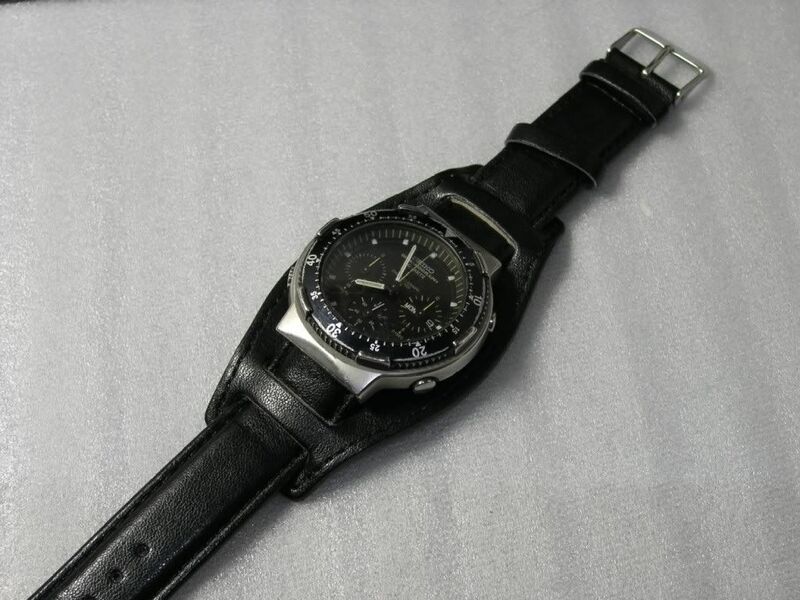 Like the 7A38-6060. 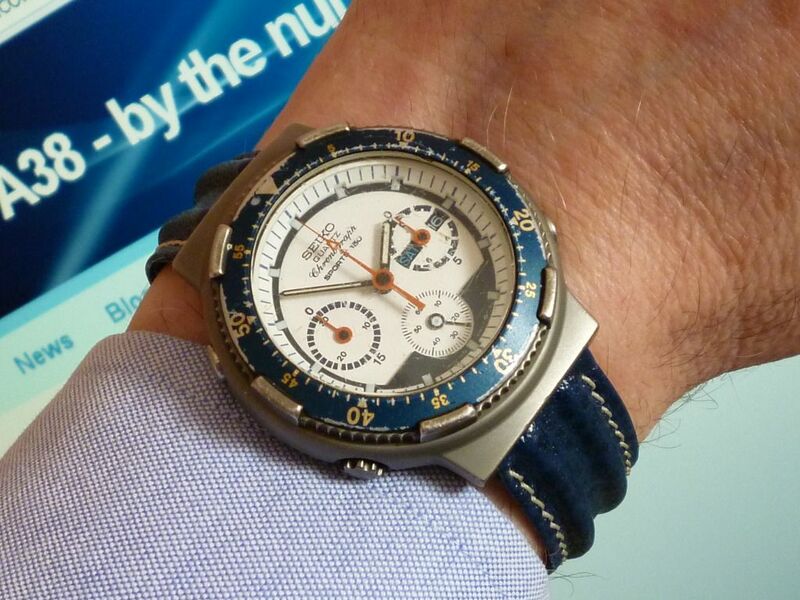 If you look at (nearly all) the photos in the relevant 7A38 model thread, they are mostly 'watch head only' shots. There's probably a very good reason for this. 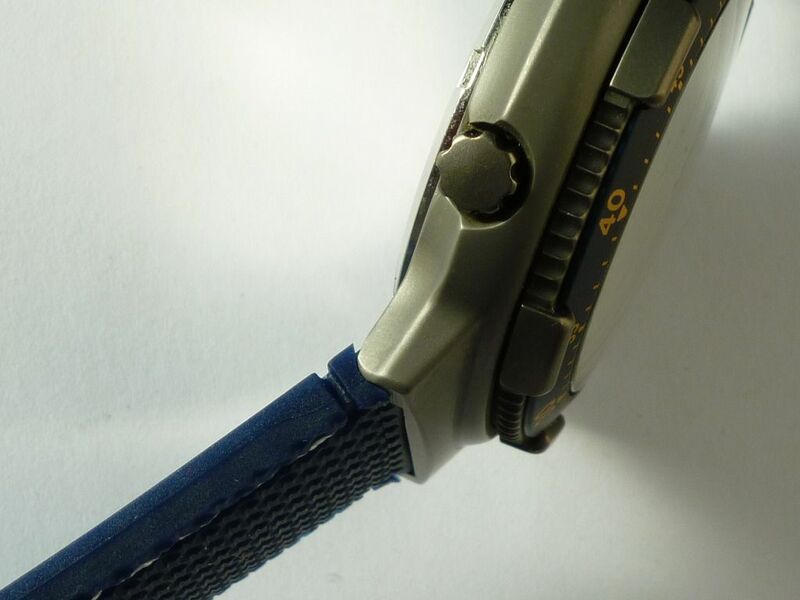 Although the lugs are conventional (but hooded), the lug strap width is only 18mm - whereas the lug ends of the watch are 23mm wide. 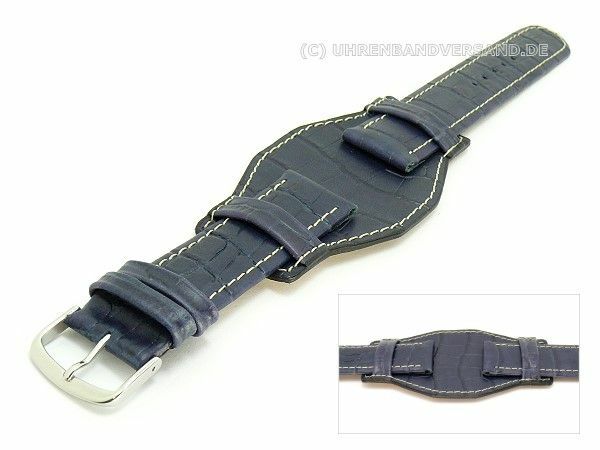 So the obvious answer would be a 23mm wide strap (leather or possibly silicone) notched to fit the 18mm width. You try finding one. Needless to say that got slung out straight away. 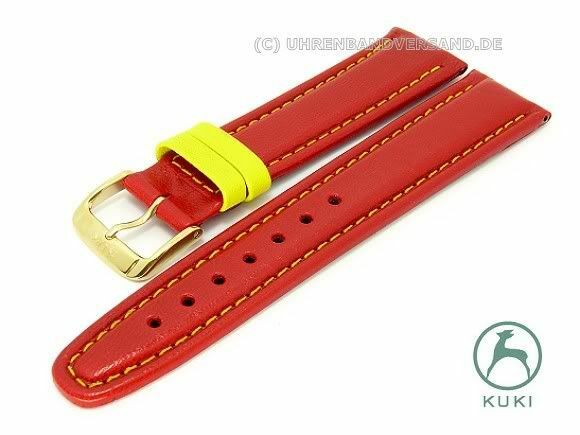 I actually bought them for the 18mm Yema buckles, with no idea what I was actually going to use the straps on. As I'd already robbed the buckle off one of them (to go on a Spationaute III), I put a Titanium buckle on that and fitted it to the 7A38-6060, as a 'stop gap'. 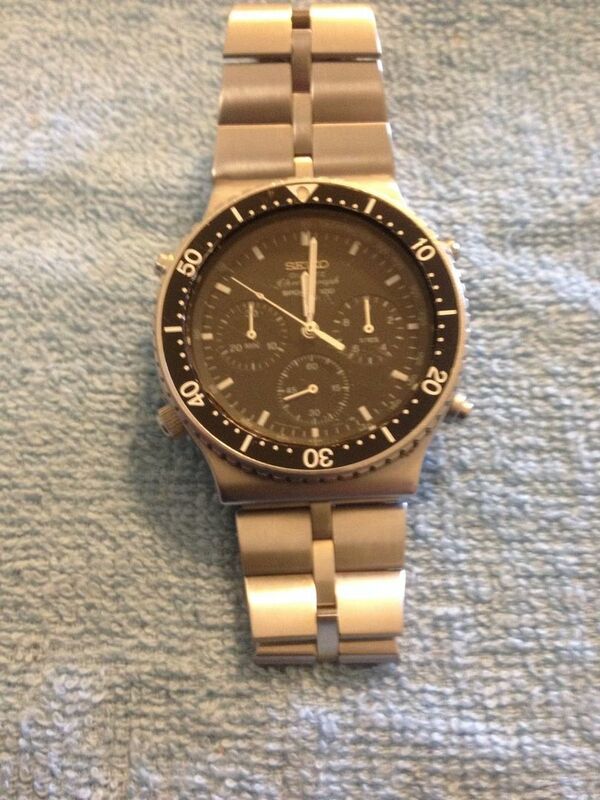 As a means to an end - getting it on my wrist, it works fine. 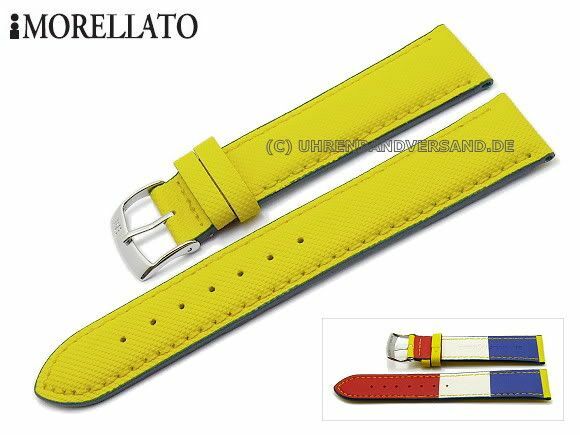 Like most original Yema ribbed straps, it extremely supple and comfortable. 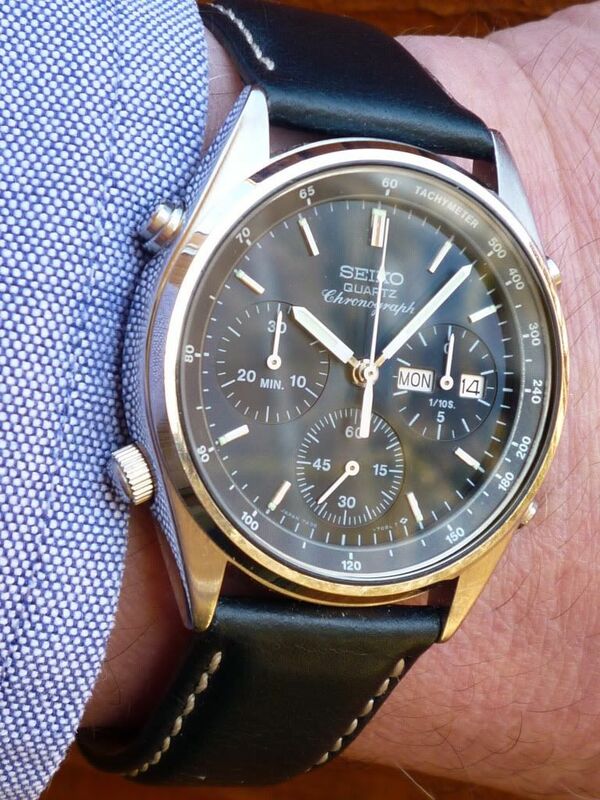 It just doesn't look right - the disproportionately large 42.5mm diameter watch head on a relatively skinny 18mm strap is all at odds. 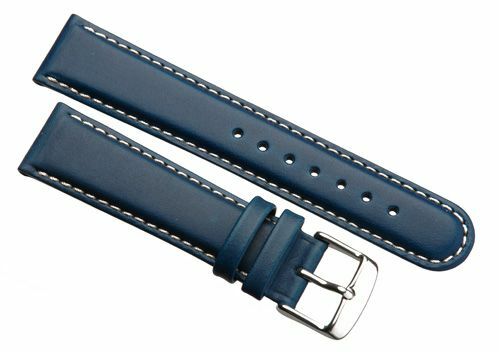 So I've kept looking for something else - ideally a 18mm lug dark blue strap with white stitching or detailing, which might work better. Always remember - things you write on the Internet can and will come back and bite you in the A$$. 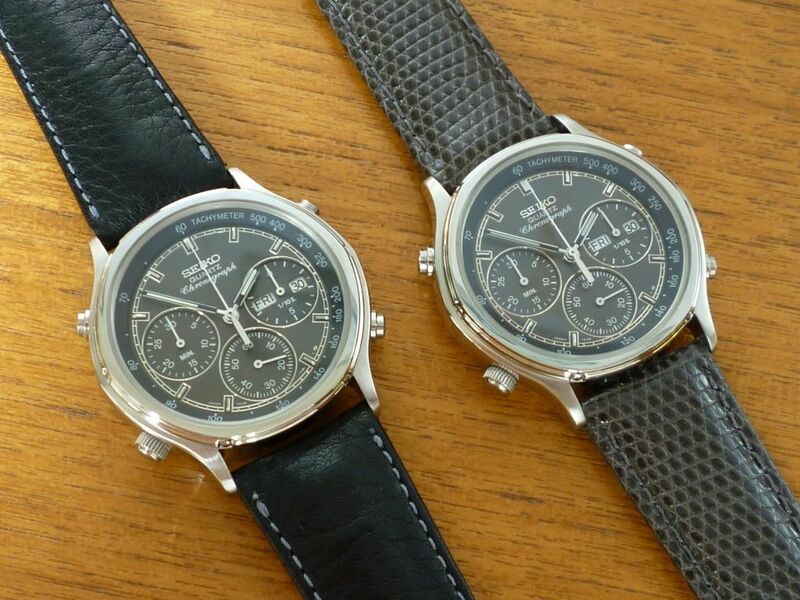 The JDM 7A38-6050 has a very similar design watch case to the export 7A38-6060. I thought for a while they used the same case. 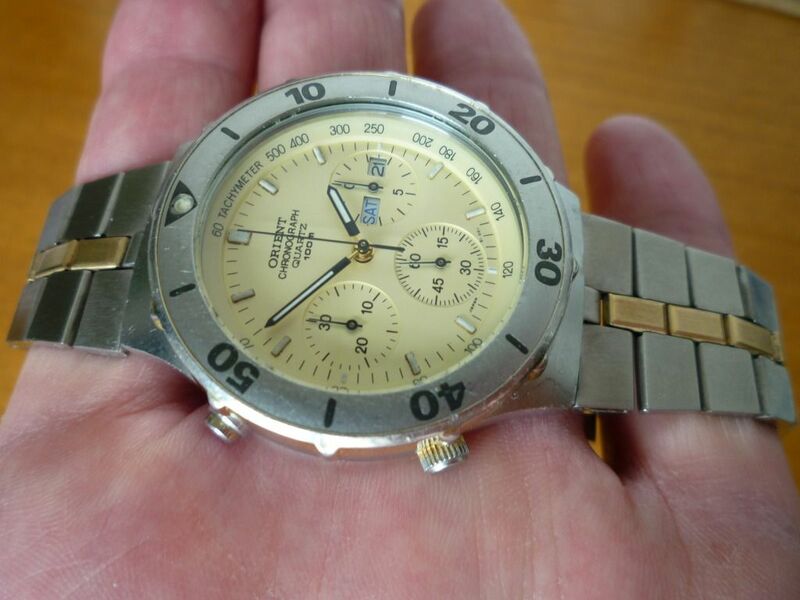 In fact, it's a slightly smaller 41mm diameter, and oddly (being smaller) has a 20mm lug width, compared to the 7A38-6060's 18mm. 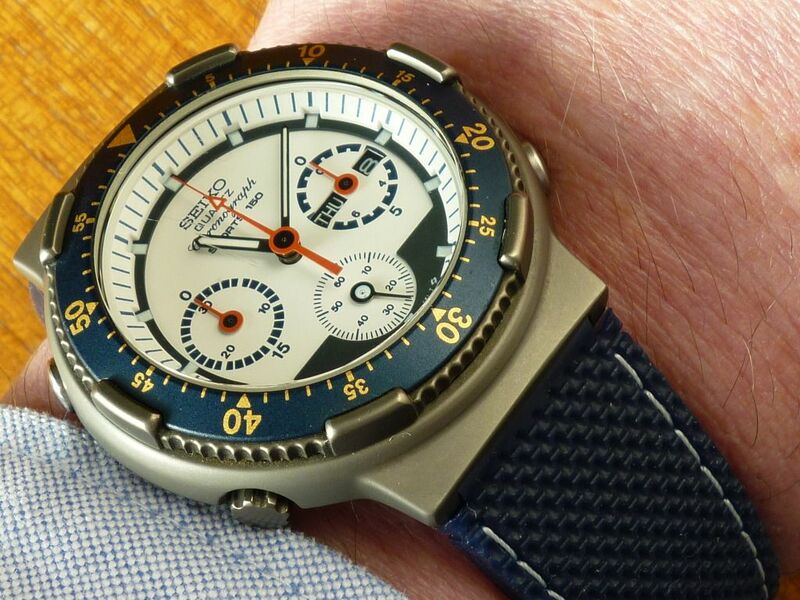 It was also fitted with one of those horrendous 'bund' leather straps. Why do people do that ? 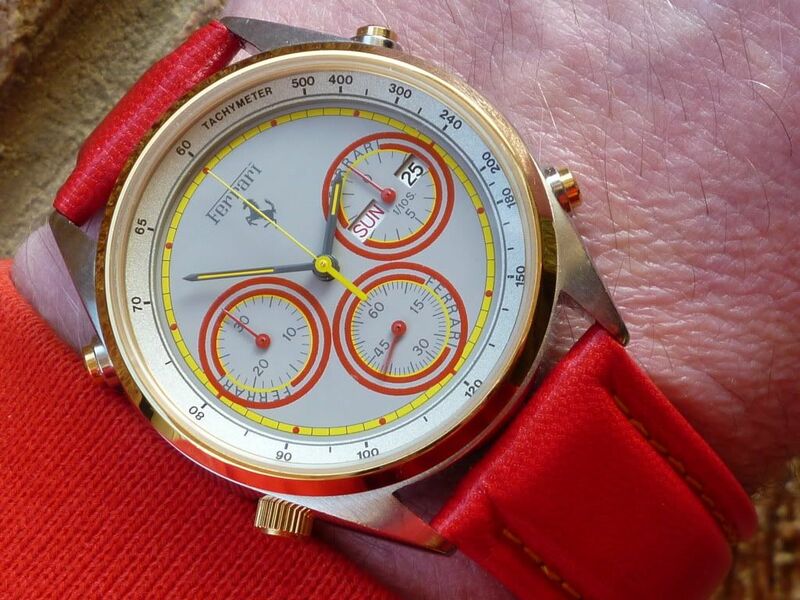 Is it in the vain hope that it will draw attention away from what is basically a tatty watch head ? 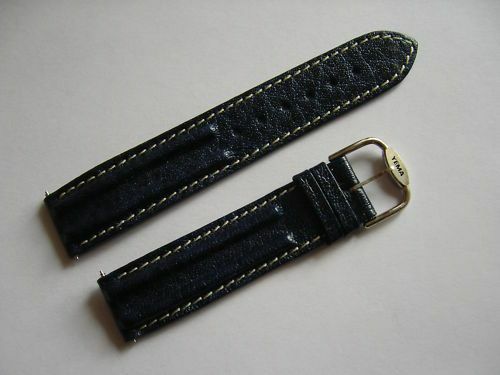 I later started coming round to the idea of a bund type strap, in an effort to disguise the 7A38-6060's 18mm / 23mm lug width disparity. did anybody tried a fishbone on an 7Axx ? I've not tried it personally, Andre. I've certainly seen plenty of fake repro' 20mm 'Fishbone' bracelets on eBay lately. I briefly considered trying one, but dismissed the idea, because they don't appear to be wide enough at the shoulder. 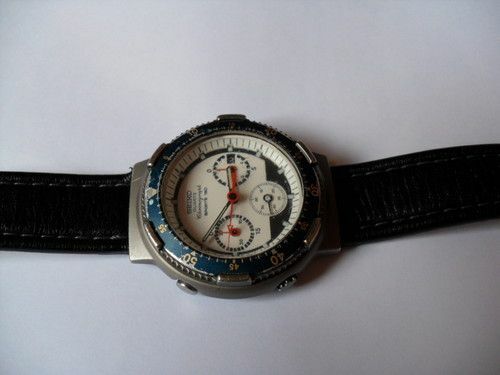 Two years ago, I fitted a two-tone Orient pseudo-Fishbone bracelet to one of my J39001-70 beaters, as a stop-gap. I wouldn't count it as a success, aesthetically. There's so little space around the spring bars that straps thicker than 3mm are a nightmare to fit. I ended up having to butcher the ends and try drilling new spring bar holes. The rubber is so soft and thin the strap could now easily tear apart, besides after all my hacking the strap it's now too short and painfully tight! Oh well, a useful learning exercise that only cost me ~£3. 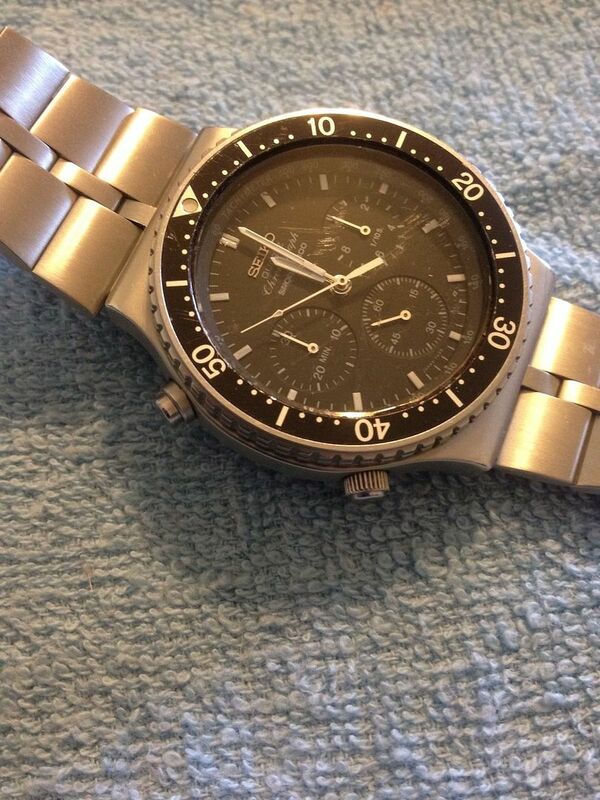 Plan B: Black Nato with matt grey fittings (Cousins S33610) which is more subtle. Even getting this on is a struggle. Pictures below are only a test fit with some spare thin but too-short spring bars. To loop a Nato through these hooded lugs really needs 1.2mm spring bars, the common 1.7+mm size are far too big. 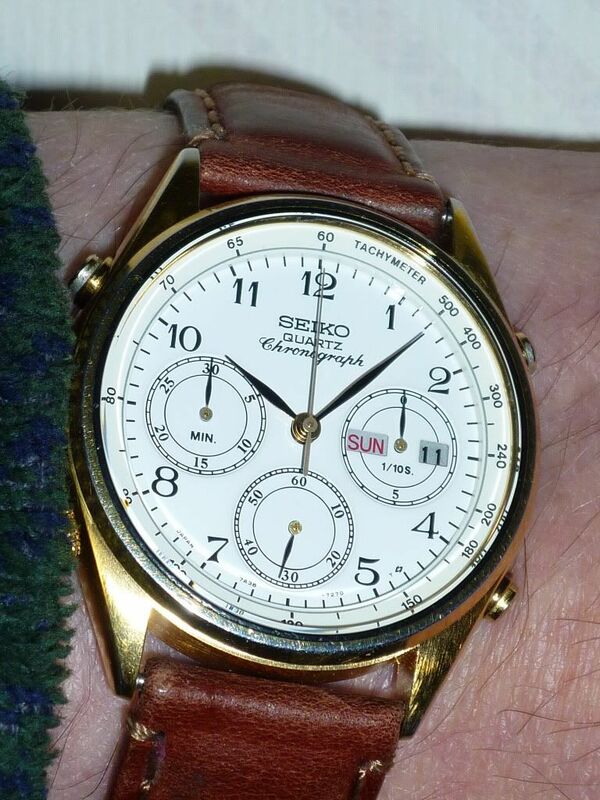 Worth the effort though, I'm loving the comfort of Nato's, especially in this hot weather Looks a bit thin and weedy above but fine at an angle on the wrist. I doubt any aftermarket option will look 100% right on these but this seems a very servicable alternative. but seeing as he asked the question here, and it's not easy for me to move posts between threads, I'll reply belatedly here. 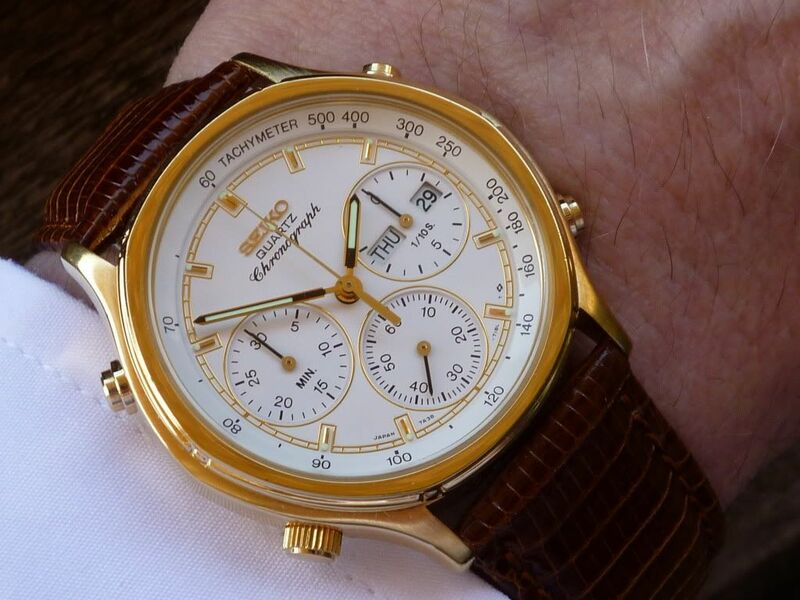 It comes on a replacement stainless steel bracelet that brings out the original look of this rare chronograph! 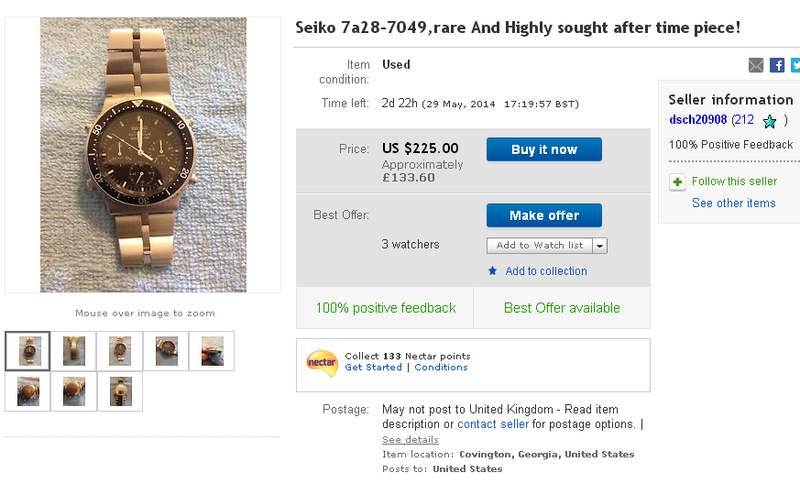 I dunno about 'original look' - it's nothing like the original Seiko B1075S bracelet. 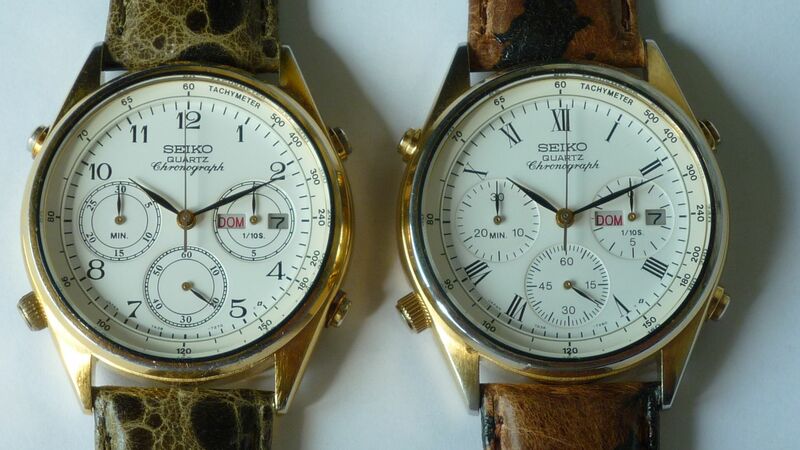 Amusingly, what makes this somebody else's 'Failed Strap Experiment' is the fact that these (both repro' and original) Fishbone bracelets were designed to be used on a Seiko 6138 'Bullhead' which has an asymmetric watch case; it's wider at the top than the bottom. 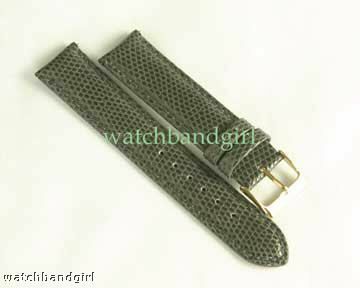 Hence although the lug with fitting on both ends may be 20mm, the bracelet end links taper is much narrower on one side - as can clearly be seen in the seller's photos. Fail !